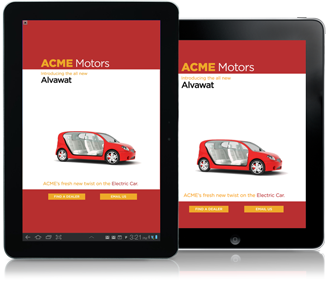 Welcome to the Guide to Mobile Ad Development. 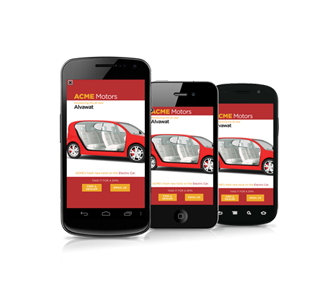 This is the place to learn the secrets of mobile rich media ad development. Here you'll find sample code, guides, snippets, and links to helpful resources. Interested in getting started? Download the Rich Media Ad Boilerplate to help lay a foundation for your ad. Impressions: The number of times an ad is shown. Rich media is billed on a CPM basis (every 1000 impressions). Clicks: The number of times a user touches a banner to expand it. CTR (click-through rate): The number of times ads are clicked divided by the number of impressions. For example, an ad shown 1000 times that receives 11 clicks has a CTR of 1.1%. Cost: The total amount paid for the reported time period. 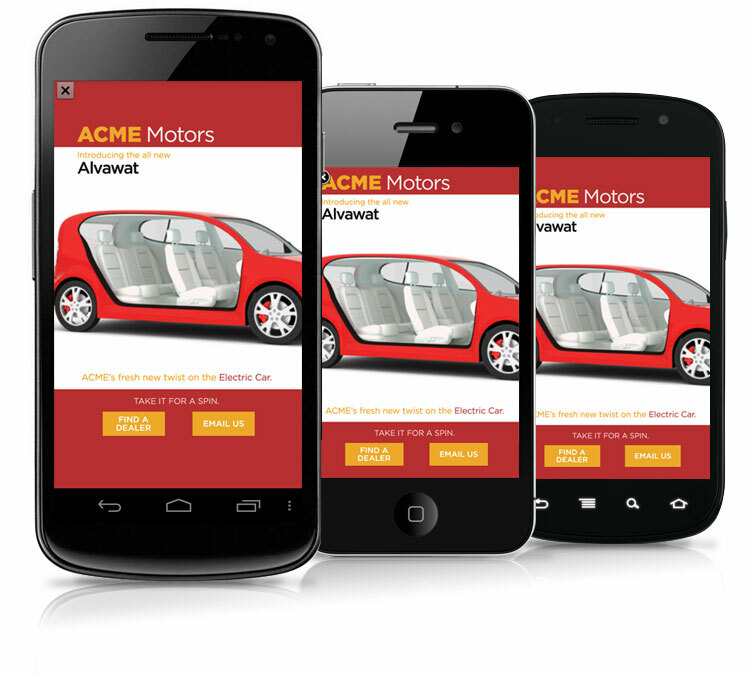 A mobile ad is really mobile website. If the ad has multiple views, switch through them by showing/hiding different <div> blocks. It is important to be sure that the ad is contained to one single HTML page. Load hidden parts of the ad in the background and record metrics globally. Apply the same optimization techniques that are associated with web development. Most importantly make as few HTTP requests as possible and keep total ad sizes under a couple hundred kilobytes. Define all stylesheets in the <head>. Never in the body which would apply styles after the content is created causing reflow. Also be sure to combine and compress all CSS files using a compression tool. This will reduce request size and, more importantly, the number of requests made. Images play a large role in rich media ads. This section helps find the sweet spot between sharp resolution and loading latency. When possible use JPEG over PNG due to file size and compression options. Experiment with a compression level between 20 and 40 percent. PNG-8 is best for images with text because it remains sharp. PNG-24 is required for transparency. Applying a slight posterization effect to a PNG can further reduce its file size; however, do not use this technique if the image contains colors that need to match an exact color on accompanying assets. Use CSS image sprites wherever possible to reduce HTTP requests. Define small images (icons, spinners) inline using Base64 encoding to reduce HTTP requests. Loading bars can be built entirely in CSS3 to reduce loading times too. We recommend having two separate encodings: one for mobile networks and one for WiFi. 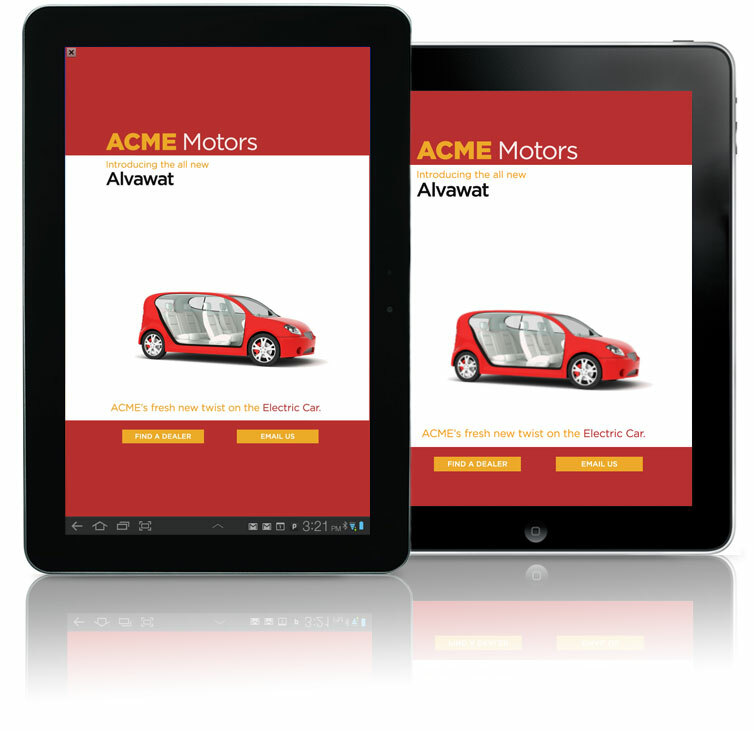 If you cannot accommodate for both, only include the mobile format. H.264 encoding with MP4 format 140kbps bitrate * 64 kbps bit rate, 22.05 kHz sample rate, mono audio channel 320 x 480 on phones, 384 x 512 on tablets. * You can sample any bit rate between 100 and 300. Higher bit rate will affect load times. Video immediately following a splash page is recommended to be less than 15 seconds so it starts playing reasonably quickly. In general videos longer than 60 seconds have load times users are not willing to wait for. Preloading assets provides a smooth, full, and complete user experience. Using this code while the user sees a loading screen prevents displaying partially loaded assets. In this case, renderMedia can then increment a counter (since an asset has been loaded) and then proceed rendering when the counter reaches the amount of assets. We also recommend prioritizing specific assets based on their importance. For example, load the branding assets (background and logos) before loading the content (images in the carousel, video, etc). This is especially important in the beginning as users will be able to see the brand before the loading is complete. Drop off rates between asset categories can be determined using event tracking in analytics. The mobile ecosystem is full of different devices of various resolutions and pixel densities. If you are targeting a specific device, say the iPad 1 & 2, you know that for a full screen ad you have a canvas of size 768 x 1024 (1024 x 768 in landscape orientation). But what if you want to support a wide array of sizes? Granted, you can create separate ads for different devices but you can do one better. You can constrain your ad’s content to a content safe area and supply a background the size of your largest anticipated device to flow out on larger devices. 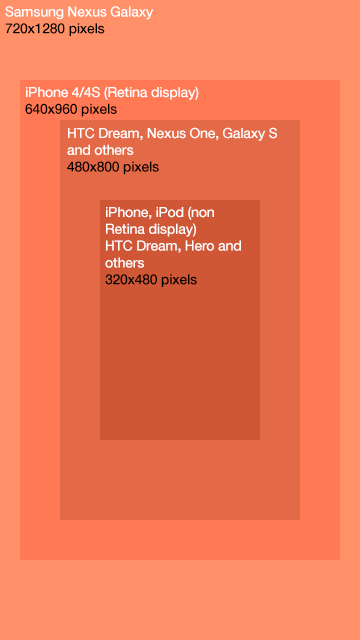 In this case, we choose an image of size 720 x 1200 since most phone resolutions are under that size. Once the image has finished loading, change the display style attribute to show the element. This section provides an overview on what animations are possible on specific mobile operating systems and what happens when they’re combined. The animations listed here are based on CSS3 animations available for WebKit browsers. Example: The following CSS classes allow a DOM element with the class ‘button’ to expand 200% by adding the class ‘animate’. The demo below toggles the 'animate' class on click/touch. Keyframe animations allow specifying different properties at specific points of a larger animation. Simply define a keyframe animation and specify the animation properties to a particular CSS property. 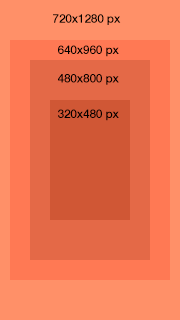 Example: The following definition causes an element to move to 60px to the right, pause, and then move another 60px to the right. It then runs that animation in reverse to its original position. The entire animation is done twice. Tap/Click the demo below to toggle the following animation class. allows for the hardware acceleration to kick in. Details: This function is preferred over the standard scale(x) since it allows for hardware acceleration. The only drawback is that it does not rerender the object at the end of the animation (this causes the final frame to look blurry if you are doing a ‘grow’). Add an event listener for ‘transitionend’ and then replace the 3d transform with a standard transform. Since Webkit animates as if it were an image, it's better to start big and scale down. Write CSS in the "end state" and scale it down for normal state. Eg. To grow from scale3d(1, 1, 1) to scale3d(2,2,1), double the size of the image and scale from scale3d(.5, .5, 1) to scale3d(1,1,1). Details: Perform a webkit transition over the opacity. MRAID Specification - API Spec for developing MRAID ads.